It’s real. It’s happening. And it’s up to employers to prevent it. 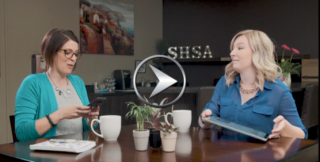 Join Lisa and Laura’s morning coffee chat about the increased attention about harassment, the potential consequences for employers, and what needs to be done to change this trend. A conservative estimate says that between 75% – 90% of all workplace sexual harassment incidents go unreported. And that is only one kind of harassment. Other types are often unreported as well. Everyone has a responsibility to stop harassment in the workplace, but the commitment has to start from the top. Like all things in health and safety, without senior leadership commitment to prevention, this danger will continue to exist in the workplace. Service Hospitality Article – Harassment Prevention: Who is Responsible?